Saturday night, my friend Cindy was craving a Gourdoughnut. She is one of many friends I’ve turned onto Gourdough’s. As I’ve tried 13 of their doughnuts, I thought I’d skip out and try out Odd Duck. Odd Duck sits along side Gourdough’s in the same lot. As many times as I’ve been to Gourdough’s, I have not gone during dinner hours which is Odd Duck hours. I’ve been stalking Odd Duck for months now and was happy to finally be in its neck of the pond (get it? duck? pond?). 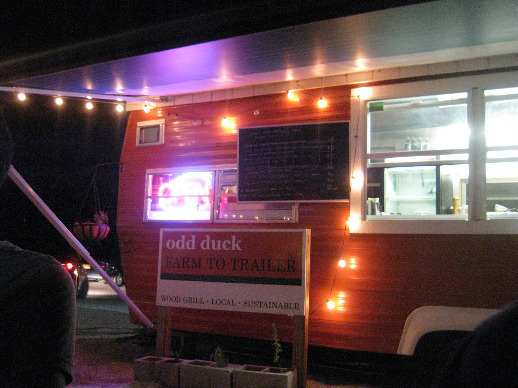 Odd Duck is a well respected gem of a trailer in Austin. Bryce Gilmore, owner and chef of Odd Duck uses farm and local products, bringing patrons super fresh ingredients and cooking til they sell out. 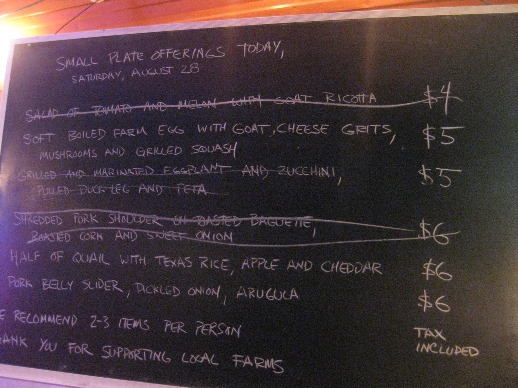 A few items were already sold out at 8:30pm and by the time we finished an hour later, the entire menu was sold out. Gilmore rotates the menu and cooks solely based on his current whims. There is one entree that has acquired an extremely wide and passionate following on the streets and it’s the pork belly slider. The portions are small. They recommend 2-3 orders per person to be satisfied. I was happy with 2. 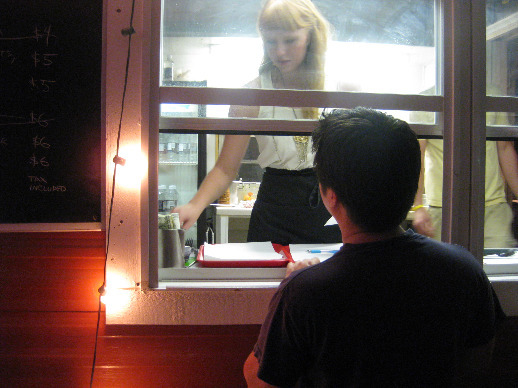 Both Gourdough’s and Odd Duck keep the lot alive and bustling with their fare. This was our view as we waited for a picnic table to clear. The wait was reasonable. 20-30 minutes went by quickly with people watching and great company. The service was super friendly, I’m utterly charmed by the lovely girl who takes the orders and serves the food. My eating buddies gleefully took it upon themselves to tell me whenever I had the mayo sauce on my face which was about four times. “You still have juice on your face, Linda.” “Again, juice. Face.” “Teeheeheehee, juice on yo face!” Seriously though, it’s too good of a slider to be embarrassed by the juices it leaves on your face. 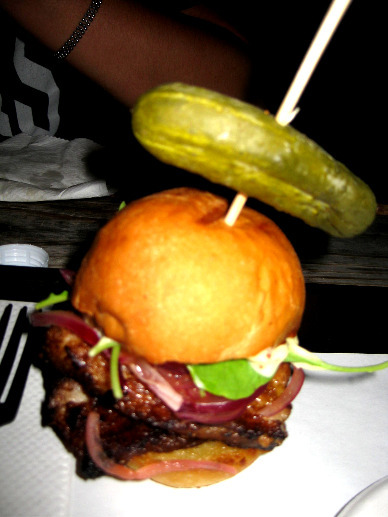 Seared, smoky, fatty pork belly in between toasted buns with pickled onions and arugula? Yes, please. 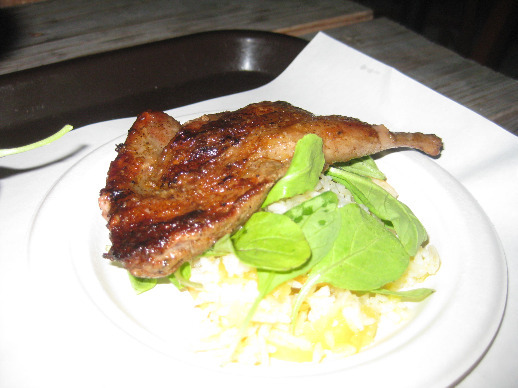 The seasoning used on the quail was finger licking addicting, the quail meat juicy and succulent. I enjoyed the subtle and soft mingling of the apples and fluffy rice with a sprinkle of cheddar. Together, they all went very well. Crunch drawing out fluff. Sweet drawing out salt. Cool drawing out warm. It was a pleasure to eat. Chew slowly. Odd Duck totally lives up to its hype. Tasty, cheap, locally sourced gourmet food. We have a good thing going on here. 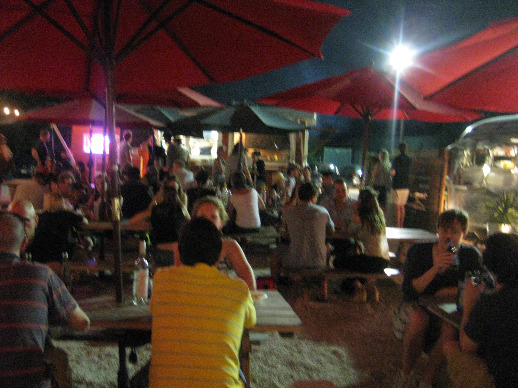 I have out of town friends who visit Austin fairly regularly. 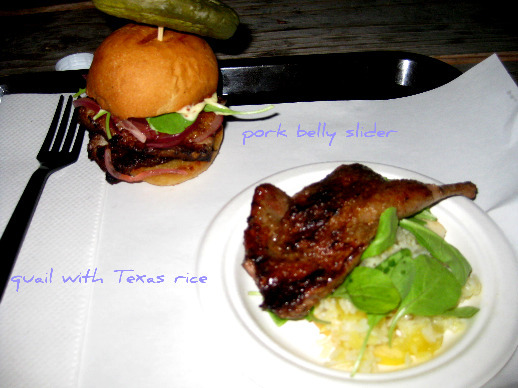 Cannot wait to make each and everyone give Odd Duck a try.